This item is part of the Pottery Pots series of beautiful planter pots for small or large indoor and outdoor plants which can be seen as the key range of our assortment. It breathes simplicity. Due to the basic colours and wide range of shapes and sizes, the products in these series can be used to decorate any space like a living-room, hotel, office or public outdoor area. These products are made of fiberglass combined with 58% finely ground stone. This composition is also called fiberstone and is low maintenance. The timeless appearance and high quality of these planters means that they will last for years. 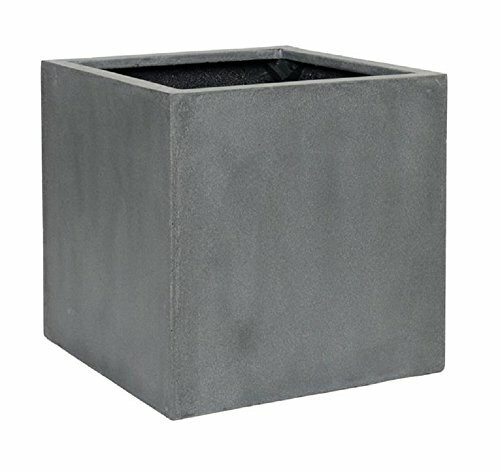 All of the planters in the Elegant collection are made of fiberglass combined with 58% finely ground stone.